The influence of on-going digital transformation on the world of commuting is massive; it rationalizes the booking process and brought forth an efficient system that facilitates millenial commuters. 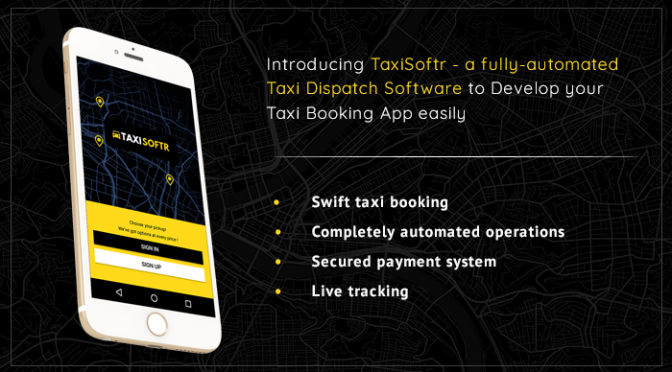 TaxiSoftr – a comparitively a new taxi booking and dispatch software in this scenario has already gained some serious traction, as it is introduced as a ready-made script that allows enterprises to set up an inclusive uber-like app within a very limited period of time. Apart from this, it aids not merely businesses but users as well. The responsive UI and navigation make it simple for users to book their favorite rides easily.